Learn about the harmful effects of alcohol. Alcohol is enjoyed by many people during social occasions, but for others addiction to alcohol or alcohol-related illnesses can be a serious health issue. This course begins by reviewing the biological effects of alcohol on the body, including hangovers, psychological, and physical disturbances. The course also looks at the effects of chronic alcoholism such as liver damage or fetal alcohol syndrome. Finally, the course reviews some of the treatments for alcohol-related illnesses. This course is ideal for anyone who wants to learn more about the effects alcohol can have on their health, or for learners already working in the areas of health promotion or health awareness who want to further their knowledge and understanding of the health effects of excess alcohol consumption. Upon completion of this course you will understand the harmful effects that alcohol can have on the body. You will be more aware of the chemicals produced in the body by alcohol. You will be able to understand the reasons for illness after heavy drinking and the treatments available to alleviate the symptoms of a hangover. You will be able to identify the psychological and physical symptoms of a hangover. This course will help you to understand the long-term damage alcohol can have on your liver and nervous system. 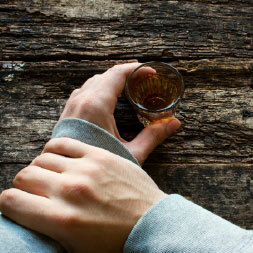 You will be aware of the best options available for treating alcohol-related illnesses. This teaches me a number of things I never about alcohol and its effects on one's health!